Looking for a cheap flight from Christchurch to Wellington (CHC-WLG)? Before you book a flight you can use Utiket to find the cheapest flights from Christchurch to Wellington for Air New Zealand. All flight data are real-time and accurate. Utiket finds all the cheapest flights from Christchurch to Wellington. On average the flight time between Christchurch and Wellington is about 50 min. There is no time difference between these cities. The timezone for both cities is: UTC +12:00. The local time now: 14:44:13. There are 2 airlines flying from Christchurch to Wellington. Weekly there are 5 flights between Christchurch to Wellington. The earliest flight from Christchurch to Wellington is at 14:05. The latest flight is at 17:05. Christchurch International Airport is the second busiest airport in New Zealand after Auckland and is located around 12 km to the northwest of the city. Christchurch Airport and Auckland are the only airports in New Zealand able to handle the Boeing 777 and 747. 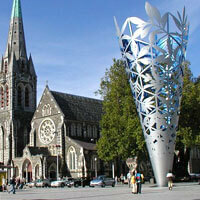 Find cheap flights to Christchurch or read more about Christchurch International Airport. 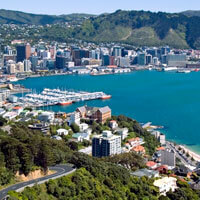 Which airlines have direct flights between Christchurch - Wellington?